Two weeks on top in the UK for the WWII shooter. Chow Yun Fat's Inspector Tequila character from Hard Boiled has long been a favourite of action-addicts. Now he's the star of a video game, and he's proving just as popular there. 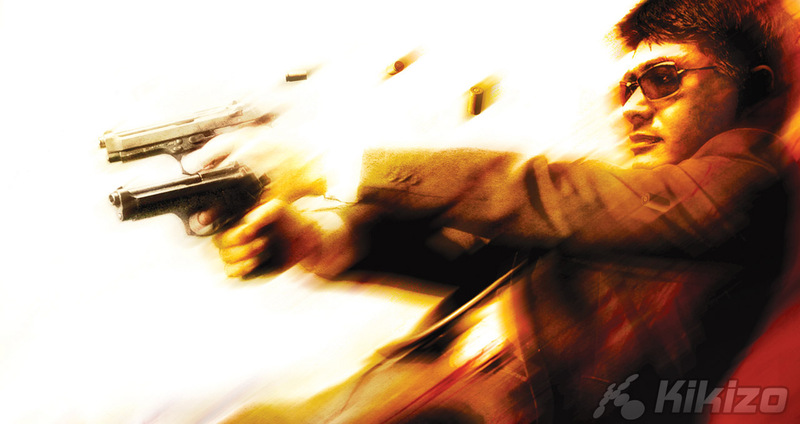 Stranglehold, the new game from Midway made with the help of action flick director John Woo, made a swift strike on the UK chart, being bested only by the staying power of World War II shooter Medal of Honor: Airborne, which holds onto the top position for a second week. Another new entry this week is Super Paper Mario, the long-delayed Wii game in which you control the plumber's world like never before, switching between 2D and 3D on the fly. It was just the first of another strong showing for the Wii and Nintendo in general. Also making the chart in its first week of release is Heavenly Sword, the UK-developed slice-'em-up for the PlayStation 3 by Brit game house Ninja Theory. As research group Chart Track points out in its weekly analysis, that brings to seven the number of platform-exclusive games in the Top 10.